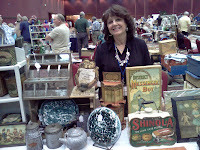 Vintage Gal Antiques: Great Show in Reno! 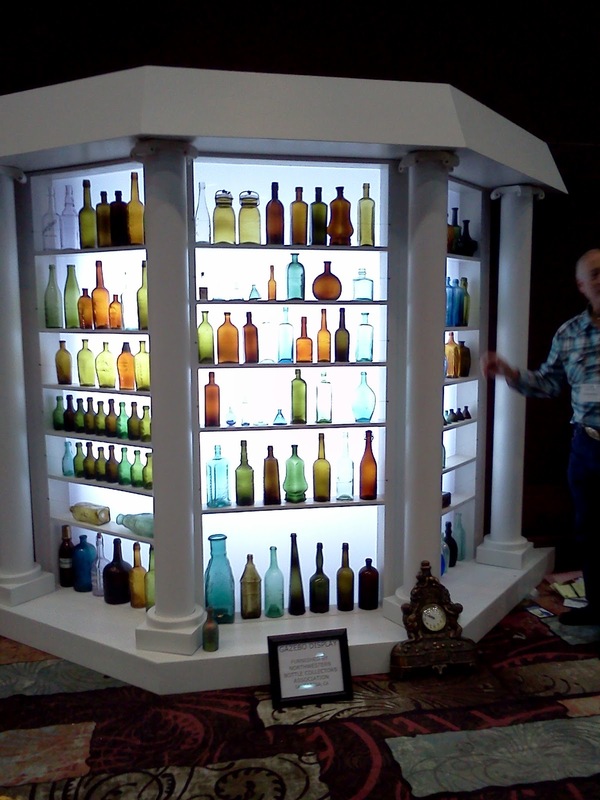 You could feel the excitement building on Thursday evening; everyone getting geared up for the FOHBC Reno Expo Bottle Show opening on Friday afternoon. When the doors opened for dealers and “Early Lookers” at 1:00 pm, there was a huge rush of bodies into the show room. 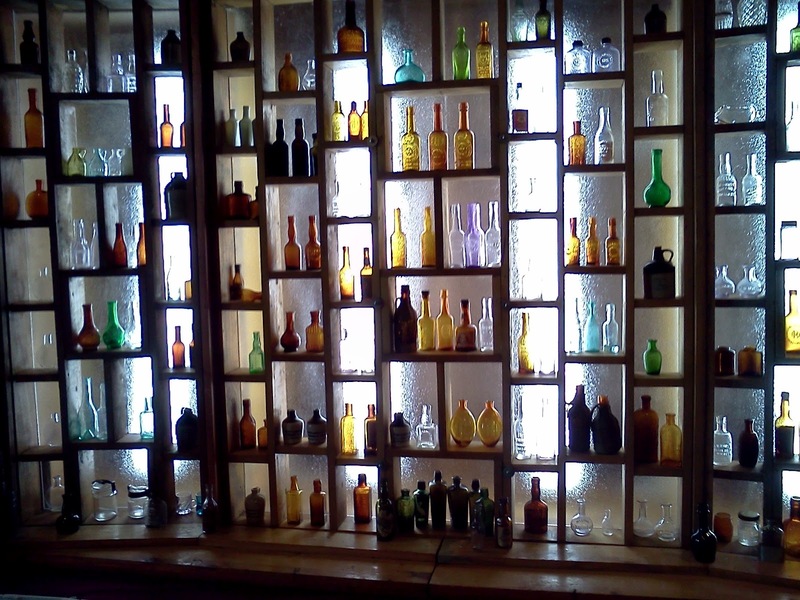 Over 350 tables filled with bottles, advertising, and go-withs! 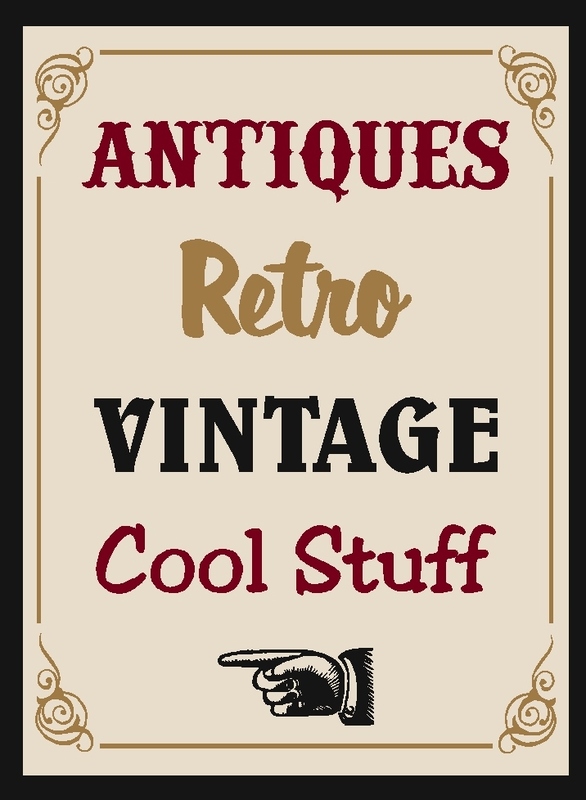 A collector’s paradise! 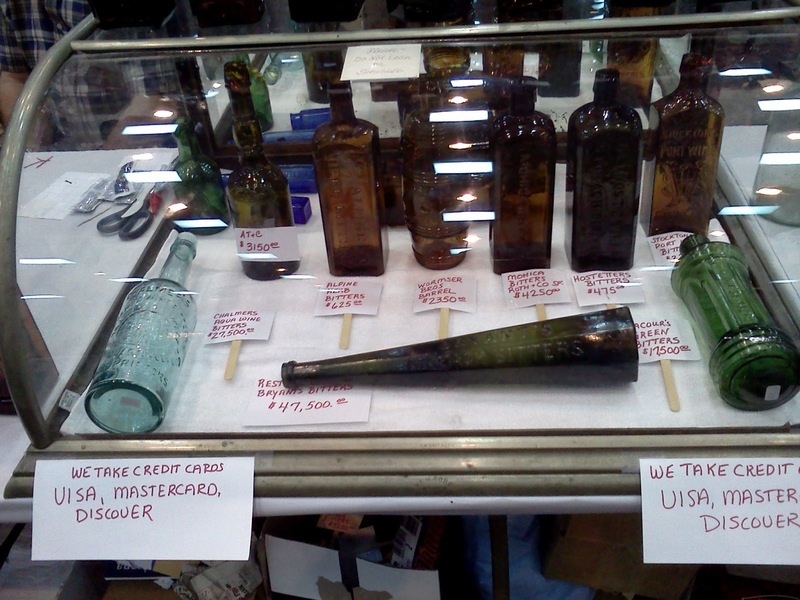 Many rare and desirable bottles changed hands. 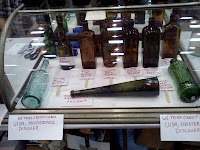 The displays featured so many incredible examples of glass. 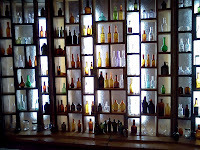 Even though I’m a novice in the bottle world (Rick is the knowledgeable one in our family) I truly appreciate the beauty of the glass and the history of the bottle collecting hobby. Traffic was brisk for the entire show; Friday through Sunday. Buyers were on a hunt, searching for their special treasure to take home. 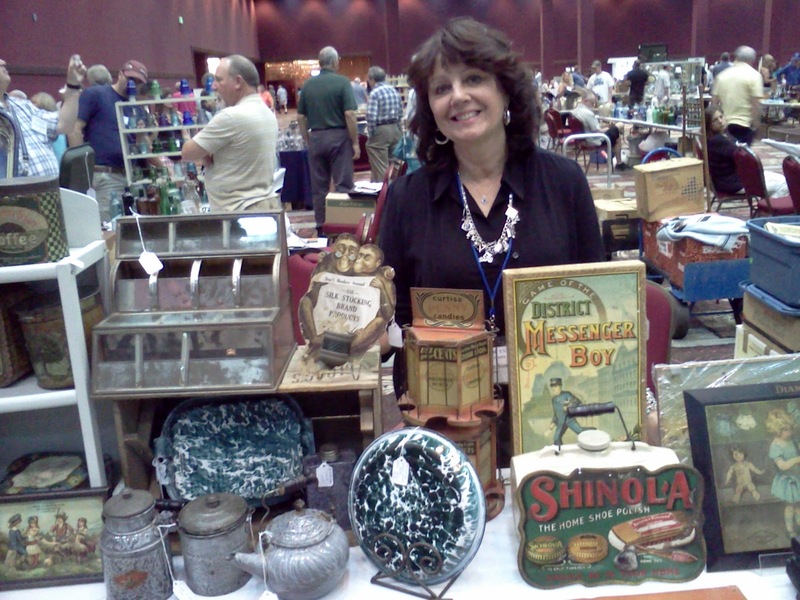 On my table, I had mostly advertising items; tins, porcelain thermometers, signs, etc. and happy to say, did very well at the show. Of course, I also did my share of buying, so I guess it about evens itself out between profit and loss! It was fun to get together with friends from around the country, too. Dealer friends from Texas, Utah, Oregon, Wisconsin, and several other states were among those that we visited with. 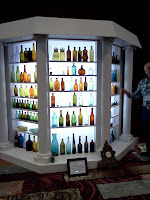 Everyone agreed….the 2012 Reno Bottle Expo was a very successful event! Me! 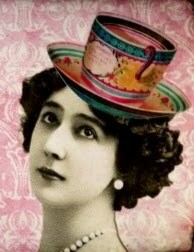 Selling my advertising items! Yes, that's right! 47K for that bottle! Wow! 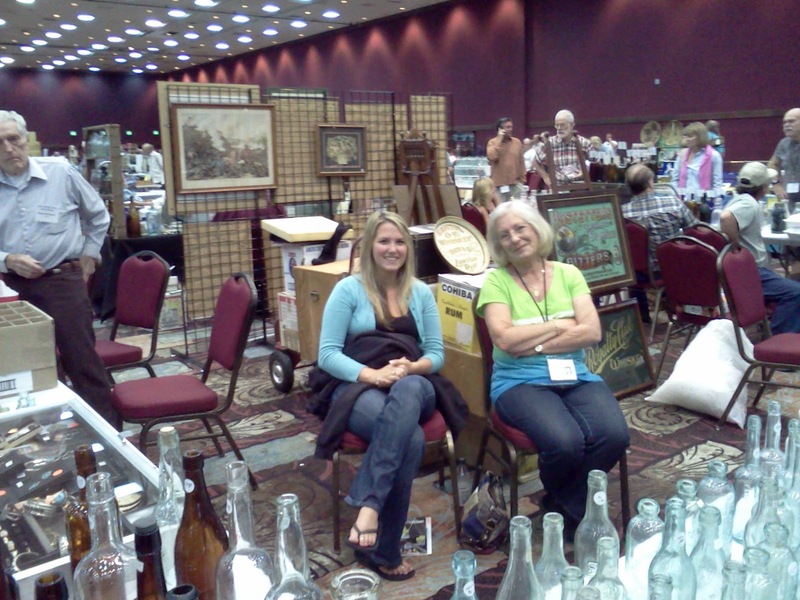 Bev S. from Santa Rosa with her granddaughter at their table.